Demwozie Mammie is a senior civil servant and the advisor on legal matters at CAFFEE, the legislative branch of Ethiopia’s Oromiya State. He studied law in Ethiopia and the Netherlands and has served in several influential positions, including President of the Supreme Court of Oromiya Regional state, and Head of the office of the Commission in charge of Constitutional Interpretation at CAFFEE Oromiya. 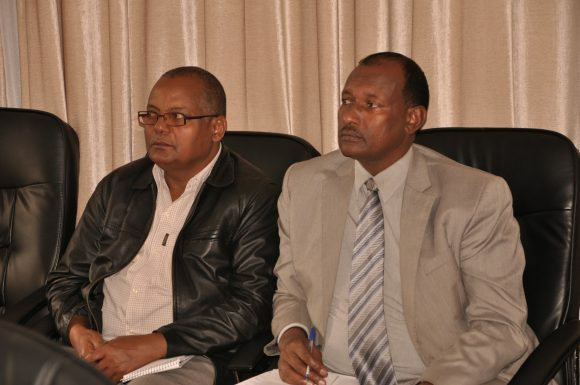 As well as being one of the drafter’s of the Oromiya regional consititution, Demwozie was requested to come to CAFFEE during its establishment as its legal advisor and he helped in drafting preliminary laws and regulations that established CAFFEE as the independent legislative body of Oromiya State. Despite his extensive experience, Demwozie had never been able to attend professional training in legislative drafting. Therefore, when NIMD began its programme in Ethiopia in 2017, Demwozie realized that this was an ideal opportunity to formalize and further enhance his skills. He acknowledges that the programme came at a time when he and his colleagues needed to sharpen their skills in legal drafting. 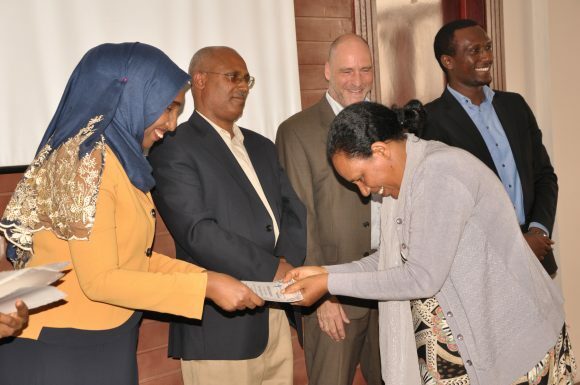 More than anything, Demwozie recognized the need for skilled drafters in Ethiopia. Demwozie saw an opportunity for this training to equip drafters in parliament with the necessary skills so that they could support individual MPs to draft their own bills and critically analyze the bills brought to them in the near future. Based on these considerations, Demwozie attended his first Training of Trainers (ToT) workshop on legislative drafting, organised in March 2017 under the auspices of NIMD’s Strategic Partnership programme in Ethiopia. 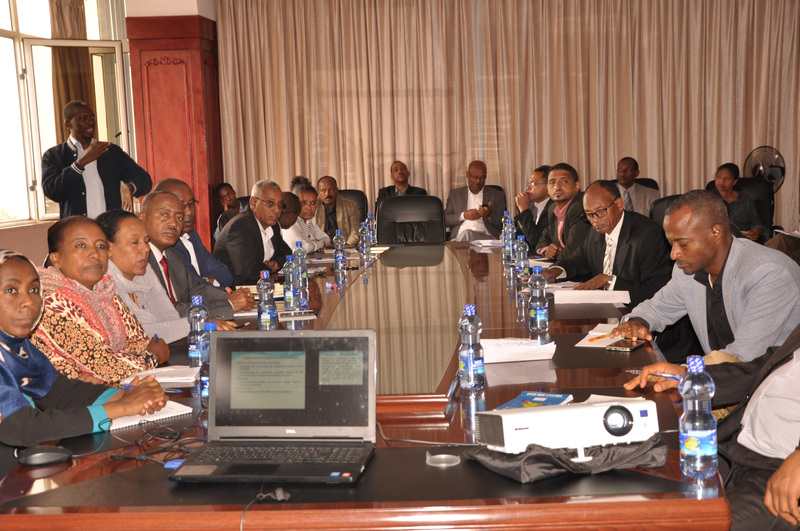 This workshop, held on the request of Ethiopia House of Peoples’ Representatives and the CAFFEE Oromiya, aimed to create and equip a pool of trainers in legislative drafting who would then go on to train their colleagues in the same field. “Demwozie has become one of our most dedicated participants.” Solomon Kirunda, head trainer. This workshop gave Members of Parliament and key staff an opportunity to increase their aptitude in contributing positively and proactively to law-making and carrying out their over-sight responsibilities. It also helped MPs and other staff to build the necessary skills to scruti-nize the draft proposals for legislation in accordance with each Parliament’s norms and standards for legislative drafting. Demwozie credits the training for his enhanced ability to analyze laws. 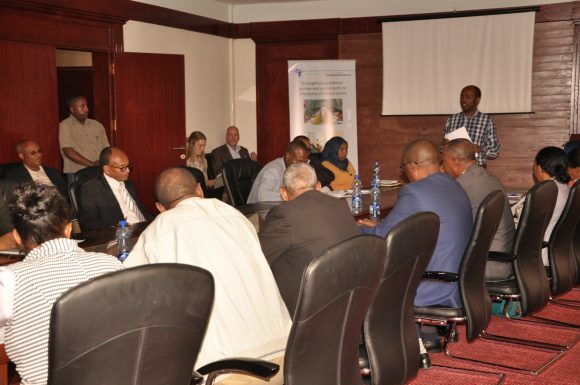 Since the training, he has been able to provide critical comments on the draft law seeking to strengthen the judiciary admistrative councils as well as the draft law on the utilization of irrigation systems in the Oromiya region. The training he had received on how to structure a bill helped him to ensure that these bills were structured in a standardized way. In December 2017, when time came to pass on the learnings from the training on legislative drafting, Demwozie’s name appeared on the list of selected trainers, recommended by both the speaker and the lead instructor during the ToT. So Demwozi, along with another ToT participant, delivered a three-day workshop for MPs from CAFFEE and zonal administrators involved in legal drafting. The training was designed to equip participants with necessary skills to better research, analyze and draft laws in their constituencies. During the ToT, Demwozie had been trained on best practices for imparting knowledge to others. The participants learned how to structure lessons, prepare presentations and deliver training in a very interactive way. Such skills, combined with Demwozie’s professional experience, helped him deliver the workshop in an effective and structured way. Before the training, Demwozie translated all training material from English to Afaan-Oromo, which is the official language and widely spoken in Oromiya State, allowing the recipients to get much more out of the workshop. Training in the local language was very beneficial, because not everyone speaks English. The participants were given the opportunity to learn effectively and interactively in a language that they are fluent in. “Demwozie made our learning experience more interactive because the workshop was conducted in our local language” said one of the participants who confessed that he wouldn’t have learned much had the training been conducted in English. Demwozie enjoyed the experience and has gained confidence. He is excited to continue imparting the knowledge he acquired through this programme to his colleagues and beyond.